It is no mystery that learning a foreign language can be daunting. I especially felt this way when coming to China. 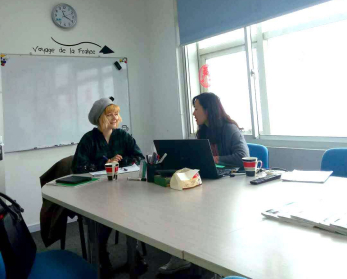 To me, learning Chinese and becoming fluent in the language felt nearly impossible by myself, so I decided to take a Chinese class in Suzhou. As the vocabulary and grammar of each unit is learned at home, the valuable time spent in the classroom is used for speaking activities and practice, dialogue and conversation using the learned language. During class time, one can also ask any questions about the grammar and vocabulary learned in the at-home learning modules or pose questions about situations encountered in daily life. My course instructor is very professional and always provides feedback regarding my performance in class and has helped me immensely with pronunciation. She has also given me tips for daily life and cultural insights into life in China. Every class brings new insights into life in China and I always leave class feeling a bit more fluent than the last. As an NCM student, I can say that New Concept Mandarin provides a wholesome and multi-faceted approach which makes learning Mandarin easy and fun. There are not only video lectures for language learning, but also online practice and workbook practice. These useful tools have been more than helpful in facilitating my Mandarin learning experience. During the progress of my course, I’m always getting feedback from my course instructor and am continually learning how to perfect my pronunciation and to sound more natural. I now feel more confident in Mandarin and after 3 months am already able to order food, have basic conversations with locals in Suzhou and am able to use the transportation tools available to me to get around China efficiently. I am looking forward to my future progress and intend to continue my study of Mandarin with New Concept Mandarin. At this point, I can’t imagine learning Chinese any other way! By way of conclusion, learning Mandarin is an indispensable tool for any foreigner oriented towards China. Whether you are looking to live in China, do business in China or even learn more about Chinese culture, I recommend New Concept Mandarin as you embark on your language journey. They are professional and tailor classes to meet your needs and specific learning style. 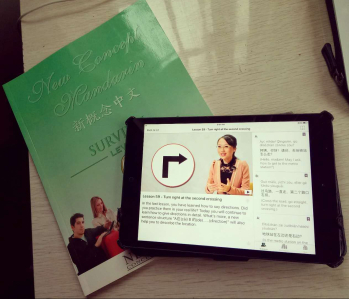 For those looking to become fluent, or even to have survival level skills in China, NCM is an indispensable resource and you will not be disappointed.